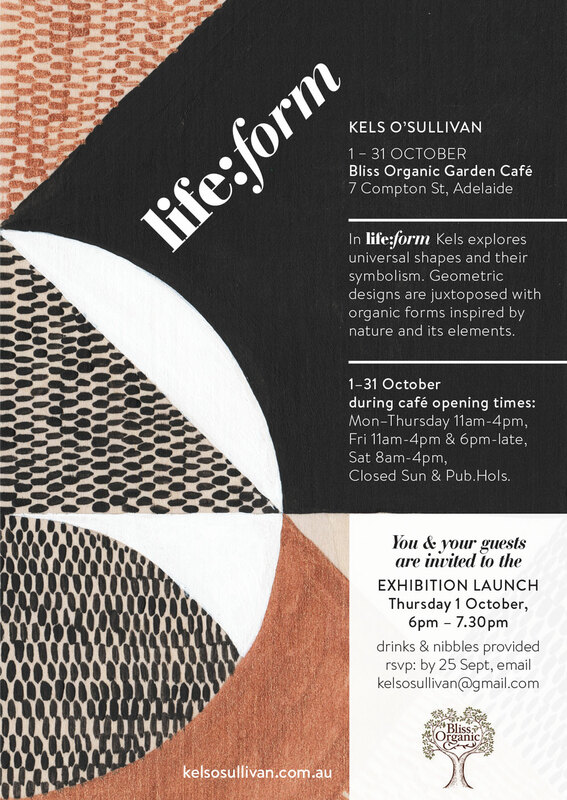 In life:form Kels explores universal shapes and their symbolism. Geometric designs are juxtaposed with organic forms inspired by nature and its elements. The exhibition runs from 1 – 31 October, so if you can't make it to the opening, please do pop into the café during opening hours: Mon–Thursday 11am-4pm, Fri 11am-4pm & 6pm-late, Sat 8am-4pm, Closed Sun & Pub.Hols. Please email kelsosullivan@gmail.com with any enquiries.